This past month I’ve had kind of a land and sea theme going from gardening to surfing. It’s that time of year you just want to be outside I suppose. From my gardening week, I found myself getting into conversations about composting. We’ve had a bin out back the city manages for a year now, but I had not taken the time to learn what I was supposed to do with it. I’ve been really good about recycling over the years but always thought composting was more for serious gardeners & farmers. 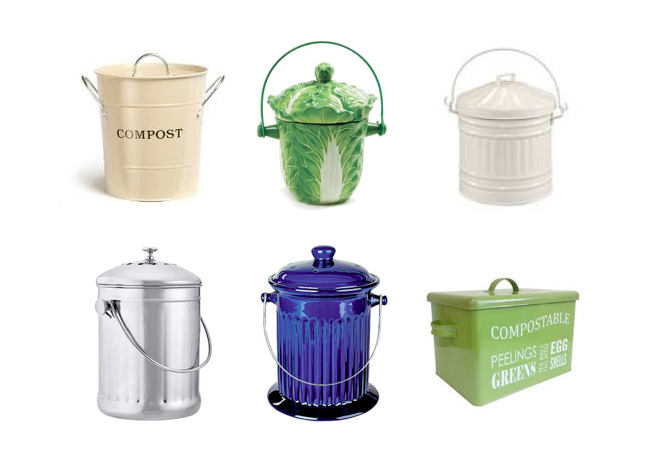 This week I’m going to learn about the different types of composting, the history of it and figure out what we might want to do from here on out. For me, I’m more interested in it from the perspective of eliminating waste than gardening…at least til we have our own house that is. Luckily I have a feeling my good friends Jess and Alicia will bestow me with their organic farming and composting knowledge this week. At the very least my countertop will end up with another cute container on it. My favorite composting container was this bamboo one from RSVP International for $38. You are currently reading you can’t live in Boulder and not compost at 52 To Do.